You might remember from May’s report that things were so crazy-busy that Nate was unable to get Brayden and Kaitlyn done. That left him with all four kids this month. I am happy to report that he did it! I had Brayden and Kaitlyn this month. Brayden has this favorite restaurant called Pizza Pie Cafe. No offense to them or anything, but…I can’t do it! It just grosses me out. I am not a huge pizza fan and all you can eat pizza…no thanks. Brayden loves the place, and Nate does too, so they went to Pizza Pie Cafe after a long Saturday of yard work and had a great time. I love how so many of Brayden’s dates center around food. For my date with Brayden, we went miniature golfing. 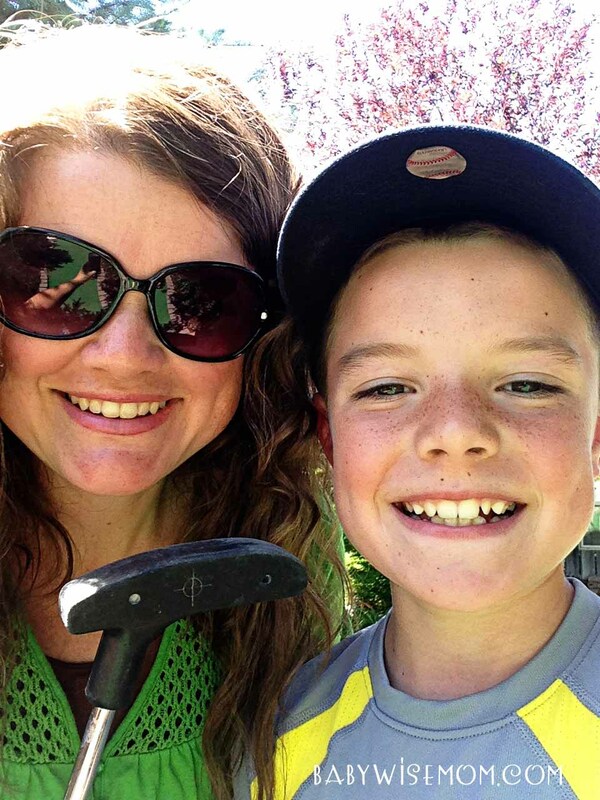 Brayden loves (and is very good at) golf. 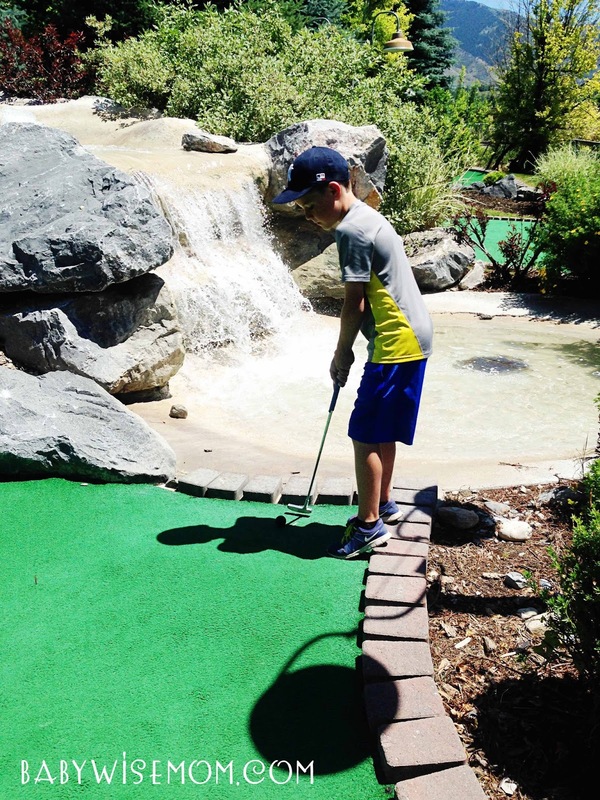 He hasn’t been miniature golfing for 2-3 years. So wen went. He totally expected to stomp me…but he didn’t. I am usually pretty good at mini golf (I was 2 under par). He wasn’t only a few over par, but he wasn’t too happy about losing to me. It was a good learning experience overall and I in the end he enjoyed it. We started with a buy one get one free and they gave us free Popsicles at the end, so it was an inexpensive date. They also gave us a coupon for another buy one get one free game. Kaitlyn thought miniature golf sounded fun, so Nate took her. He used the coupon I got from my game with Brayden and they got free Popsicles also. It was her first time ever doing mini golf. She did quite well and even beat Nate on a couple of holes! Summer is a great time for dates because there are so many fun things going on that you can go to. One fun thing around here is rodeos. Kaitlyn loves horses. She loves Western life. She loves the country. She loves cowboy life. And so, she loves rodeos. The last time we took the family to the rodeo, it wasn’t a very pleasant experience. I obviously have not trained my children well in the art of “sucking it up” when you are board and hot. I also have not trained them well for rodeos. 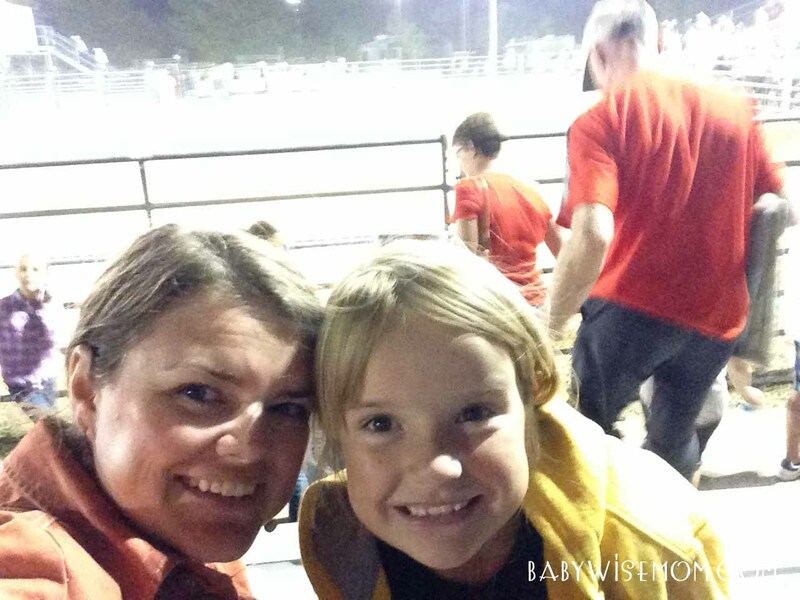 When I was growing up, my mom took us to a lot of rodeos (she is a cowgirl herself). I remember curling up and sleeping on the bleachers many-a-time. Anyway, Nate didn’t love our last rodeo experience, so I thought I would make it a date. Kaitlyn loved it. It was the perfect date for her. McKenna was with Nate this month. For their last date, they went roller blading at an indoor arena. We thought it would be fun for her to do some outdoor roller blading, so Nate took her to our local dam. There is a nice paved path around the dam and they roller bladed around it. Then they went out for ice cream cones. McKenna had a lot of fun. Even though they went roller blading so recently, we wanted to make sure they did this date while the weather was guaranteed to be good. Nate was with Brinley this month. What did this girl want to do? 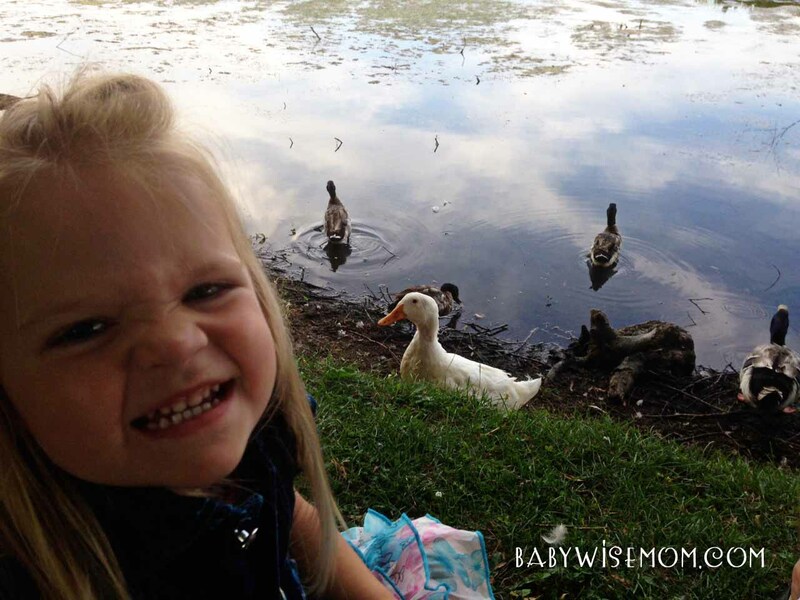 Feed the ducks at the duck pond. She is seriously obsessed. She talked about it for days. She was as excited as she ever gets. It definitely highlights something important about toddlers. They love repetition. They do not care about new and big ideas. They like to relive something they love over and over until it loses its novelty. 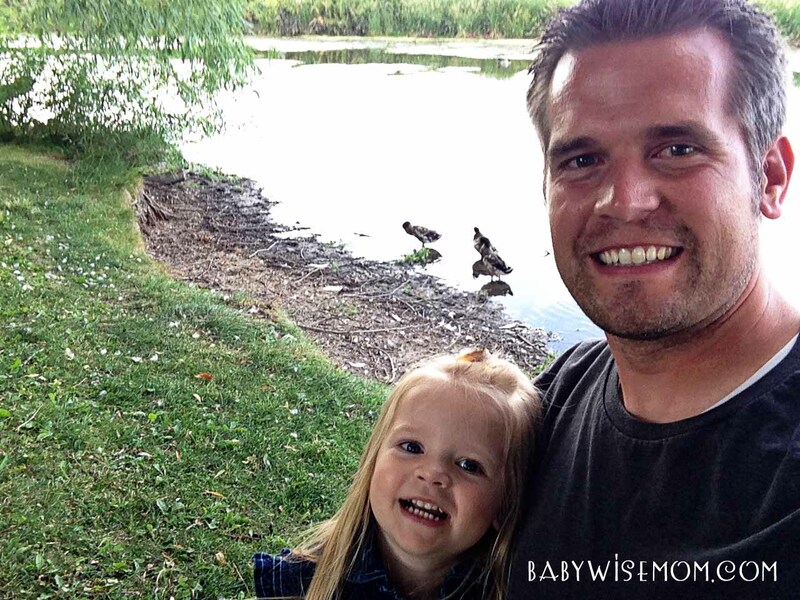 When you are doing dates with your toddler, she might prefer doing the same thing every time. We are enjoying our dates. I really like that we are able to do things that are of specific interest to each child. With a relatively large family, to do something like the rodeo can be expensive, but for two of us, it wasn’t bad. Then we do something else with just two, and it isn’t bad. The children are able to pursue their unique interests and it all fits in the budget. That is just a monetary perk of the date thing. You can always see all of our dates starting last January on the “Dates” tab linked above. Hi, this isn't date related (sorry–do love your date ideas though). I have a 5 week old and had been trying to follow your newborn hierarchy by just getting her to sleep when she should. At around 2 weeks she started crying when being put down in the crib for naps so I started doing whatever I could to get her to sleep. I tried crib, bassinet, bouncer, 2 swings, and a rock n play. Rocking or nursing to sleep and then transferring somewhere results in crying within 5 minutes. The only way to get her to fall asleep and stay asleep is to put her in a carrier. She doesn't fall asleep as well in my arms or with other people. She even cries for car rides so she's basically cried it out for 35 minutes on more than one occasion (doesn't stop till the car ride is over and I pick her up). She mysteriously sleeps fine at night in her crib (just nurses and goes back to sleep). She may have some digestive issues but I've tried gas drops and gripe water with no change. I will be trying reflux medicine in the next couple days. While I'm still trying to find the root cause, how can I teach her to fall asleep and/or stay asleep on her own? I can't sustain carrying her for 12 hours a day and it's definitely not what I was intending.